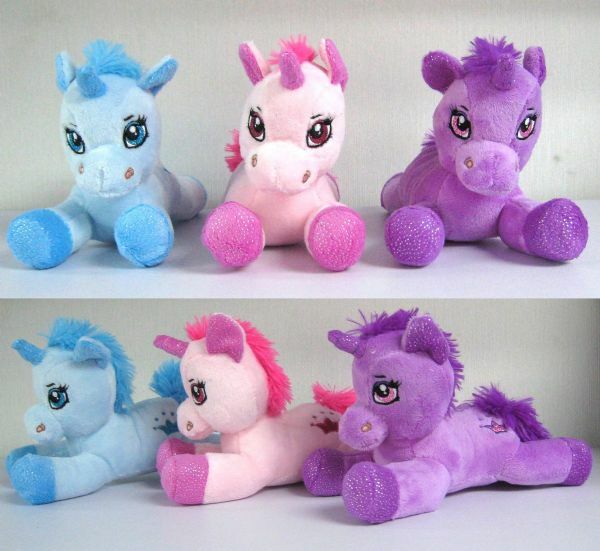 New Girls Blue Unicorn Soft Cuddly Toy 20cm Soft Toy. The unicorn's features are highly detailed and the animal itself is made from high quality Plush fabric. This unicorn will make a fabulous companion for a child and will look great in any childs bedroom. It has Great Details with a Sparkly Effect on It's Ears, Horn and Feet. It also has a Sparkly Crown & Stars towards the back end of it's Body.